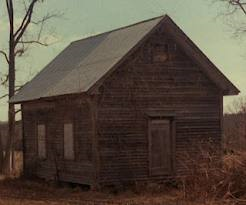 The old field schools were used in the South before the War Between the States. Essentially, they were elementary schools. The building was typically one-room with a pot-belly stove. The schoolmaster taught children who frequently attended school after the planting and harvesting seasons. Valentine, a leading schoolmaster in York County, Virginia in 1691 charged each pupil at the rate of twenty shillings ($25 in modern values). Another schoolmaster, Thomas Dalby of Henrico County charged thirty shillings tuition for two youthful students for nine months. In 1698 the estate of a schoolmaster in Isle of Wight County presented bills which sixteen pupils owed the estate, showing that he pupils paid fifty pounds of tobacco per quarter. Source: Institutional History of Virginia in the Seventeenth Century by Philip Alexander Bruce, Volume Zi.